This tutorial is the introduction to the blues. 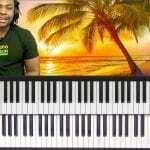 It takes you from the very beginning, right up to the blues scales in all 12 keys with right fingers, blues runs, blues licks, blues chords, the twelve-bar blues pattern, and walking bass. 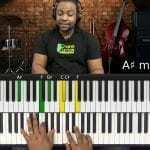 This 1 hour and 11-minute video include just about everything you need to know about blues piano. I'm very happy to learn a lot of stuff and tricks and techniques. Warren is so brave and his explanations are so easy to understand even for one as me who did not speak very well English. Thank you Warren .Hope to see other lessons soon !!! So happy to get his course. Have helped me to improve my playing. You can learn a lot from this lesson.